A single serving of lentils provides sixty percent of the daily quota for iron, a mineral that vegetarians often lack sufficient quantities of. Lentils are a powerhouse of soluble fiber, the kind that protects the heart by lowering cholesterol levels. 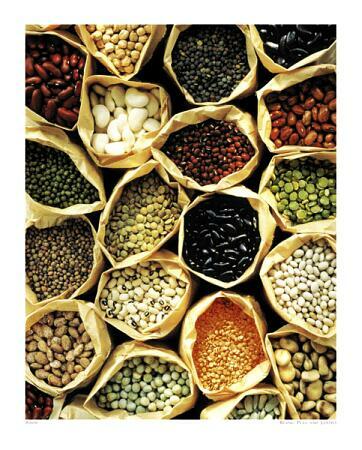 Most people don't get enough heart healthy fiber in their diet and lentils provide an easy way to add fiber. The same soluble fiber found in lentils also helps to moderate blood sugar levels and promote digestive health. Lentils are good source of the B vitamins as well as essential minerals, including iron. Lentils are a great choice for individuals suffering from Diabetes or Rheumatoid Arthritis. Lentils also provide you with enough nutrition to satisfy your daily recommended amount of Folate, Vitamin B, Iron and minerals such as Phosphorous and Manganese. Lentils are easy to prepare and compliment any dinner menu. Here I prepare delicious lentil gravy. 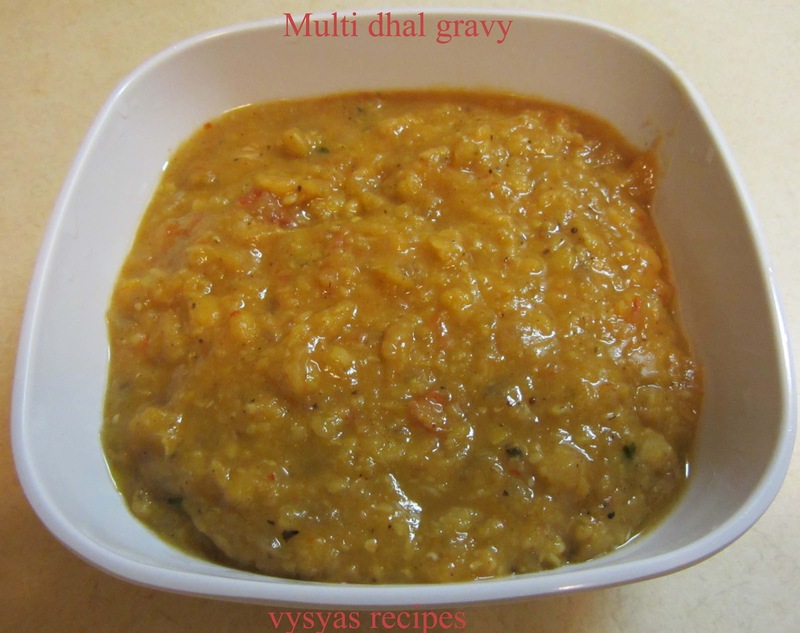 Masoor dal - 1/4 cup. onion - 1 (big size)[chopped]. Ghee - 3 - 4 tsp. Red chillies - 6 -7.
coriander seeds - 11/2 tsp. black pepper seeds - 1 tsp. cinammon sticks - small 1.
pressure cook ,all the dal's to gether till mushy. Grind all the items mentioned in grind column. Heat the ghee, add onion saute well,Then add tomato saute well. Then add ground paste with needed water,add salt.stir well for few minutes. Then add all cooked dal's, that we pressure cooked already, stir well, allow it boil,for few seconds,then finally garnish with cilantro.Now multi dal gravy is ready. It goes very well with chapati,roti and rice.